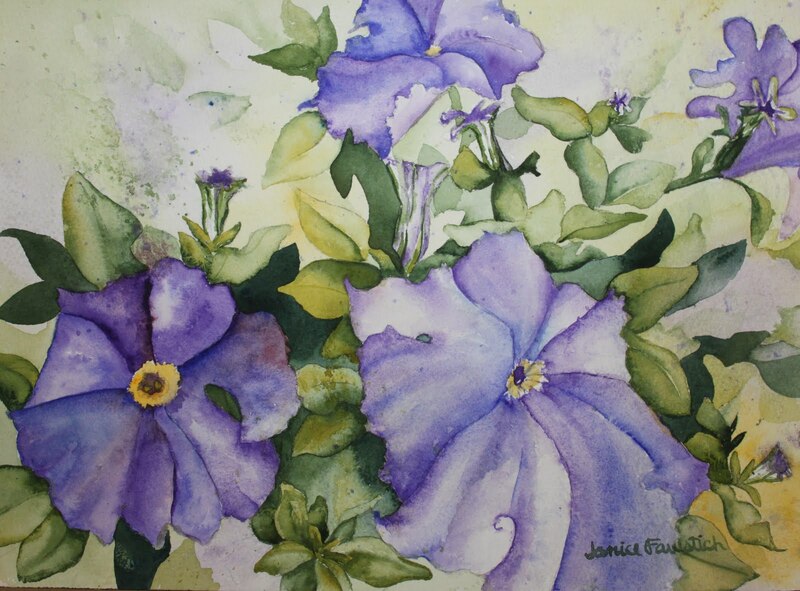 I did a painting these petunias last week, intending them to look loose and carefree. They didn't, of course, so I tried again. While this rendition is less structured than the first, it still isn't where I had envisioned it going. I'll try it again next month-I'm thinking about how to get started so I don't paint myself in to the same proverbial corner from the get-go. Meanwhile, I'm finishing up the work for my class at Mission and preparing for our May trip-volcano permitting! I have a new art backpack and ordered a new block and a couple of tubes of paint in colors I thought would be helpful in capturing the Dutch landscape. Someone at a SCVWS paint site said that Davy's gray is really good for overcast skies-which we're likely to see in Belgium and the Netherlands. I'm studying Van Ruysdael's and Cuyp's landscapes to get prepared. 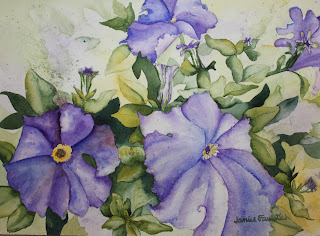 This painting is 10" x 14".